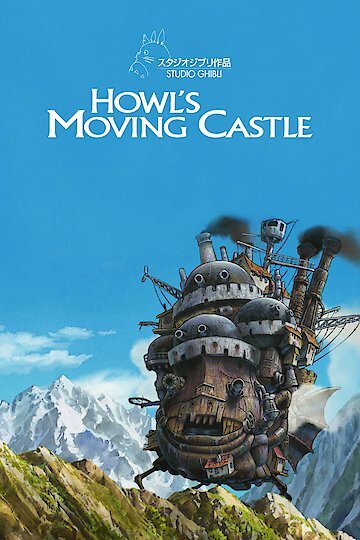 Howl's Moving Castle is a film by Japanese director and producer Hayou Miyazaki. The 2004 film is based on the Diana Wynne Jones novel of the same name that came out in 1986. The film follows the character of Sophie, a shy and insecure young woman who spends her days running her family's hat shop out of obligation to her deceased father and erratic mother. Sophie's uneventful life comes to a grinding halt when she meets Howl, a mysterious wizard with a greatly embellished reputation for eating the hearts of pretty, young girls like Sophie. When this encounter comes to the attention of the Witch of the Waste, a jealous witch that harbors romantic feelings for Howl, she curses young Sophie with the body of an old woman. The film follows Sophie's quest to free herself from the witch's curse. Along the way, she is aided in her quest by Calcifer, a fire god who lives in Howl's fireplace; Markl, Howl's young apprentice; and a mysterious Scarecrow. As Sophie attempts to break the witch's spell, the audience sees that the primary quest of the film is one of self-discovery, and that maybe the curse was more like an unintended blessing after all.